Being a new mom is hard. Super hard actually. 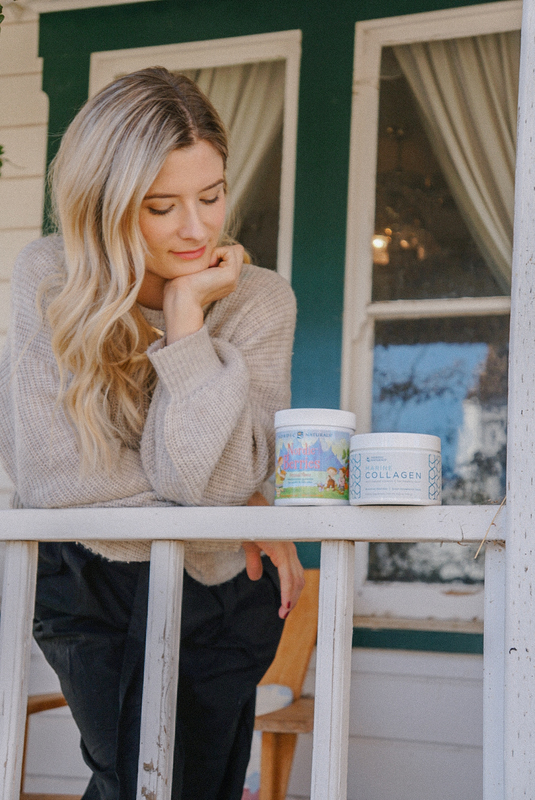 You’re navigating a million new things at once – a changing and recovering body, the trials and tribulations of breastfeeding (or deciding not to), a tiny little human dictating your every move, the wave of emotions that hit you as you adjust to your new normal. And it really doesn’t help handling any of these when you’re exhausted. The biggest problem when I first had Henry was lack of sleep. I couldn’t think of anything else but when I would be able to get a nap in and each evening before bed I would dread knowing that another long night was ahead of me. All I wanted was to just enjoy my newborn but I was just always so tired (my son slept only about 3-4 hours a night for the first two weeks). When my daughter came along I knew I had to find a solution (especially because I had a toddler to keep up with now!). 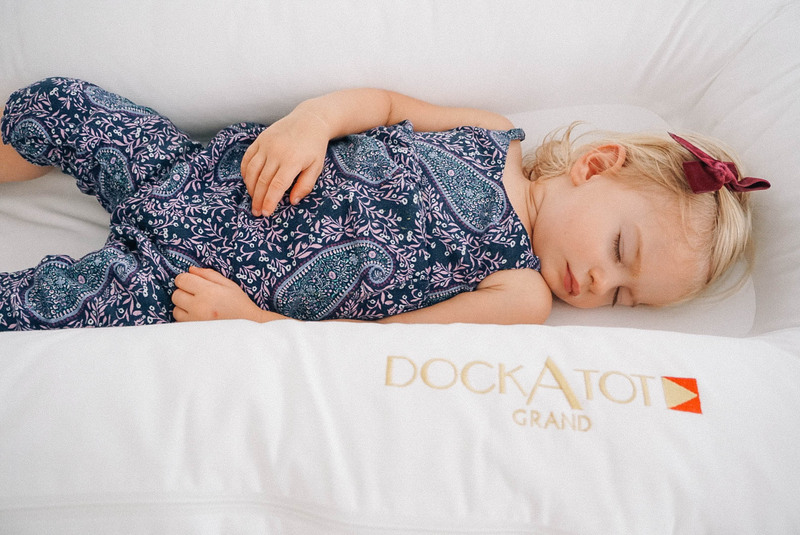 When I came across the Dockatot I was intrigued that SO many women swore by it! 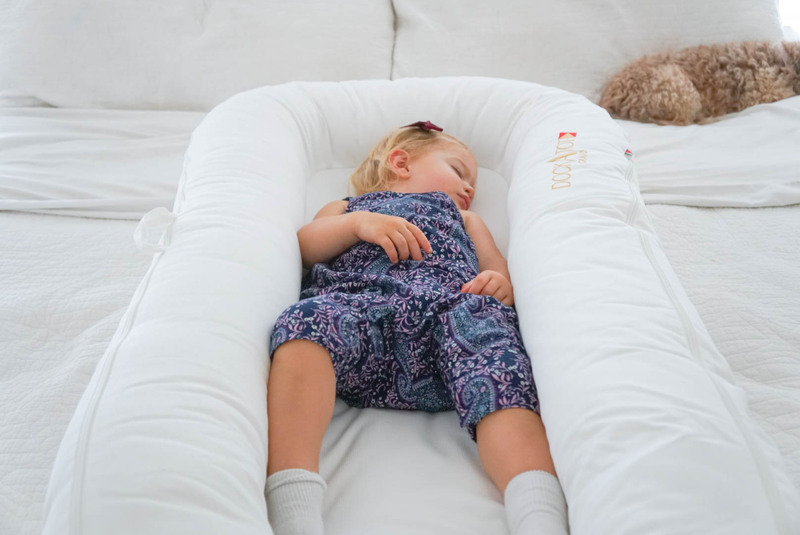 I have used it now since Vivi was 2 weeks old and I couldn’t be happier with it – total game-changer. 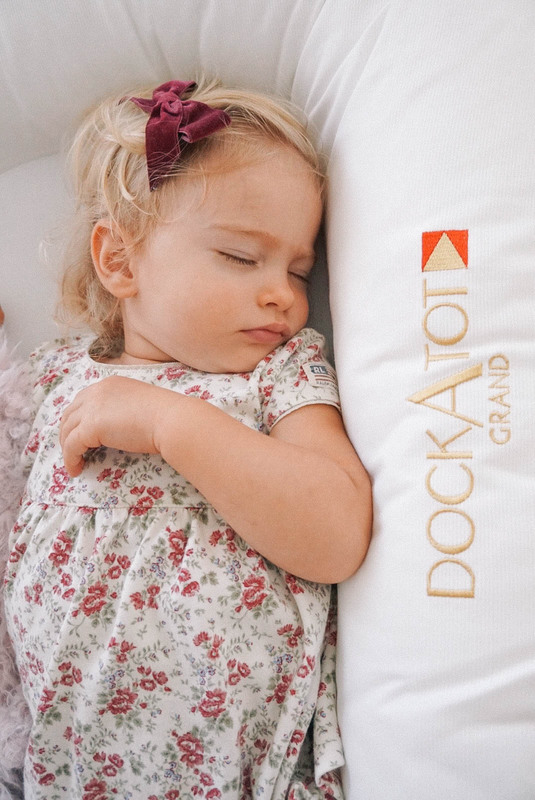 Whenever a new mom or mom-to-be asks what baby product I couldn’t live without I practically scream “THE DOCKATOT!” at them because that’s how much I love this thing. I mean – anything that helps a new parent get more sleep deserves a gold medal in my book, those couple extra hours are priceless. I loved having her right next to me at night (she did too!) without the worry that I could roll onto her. 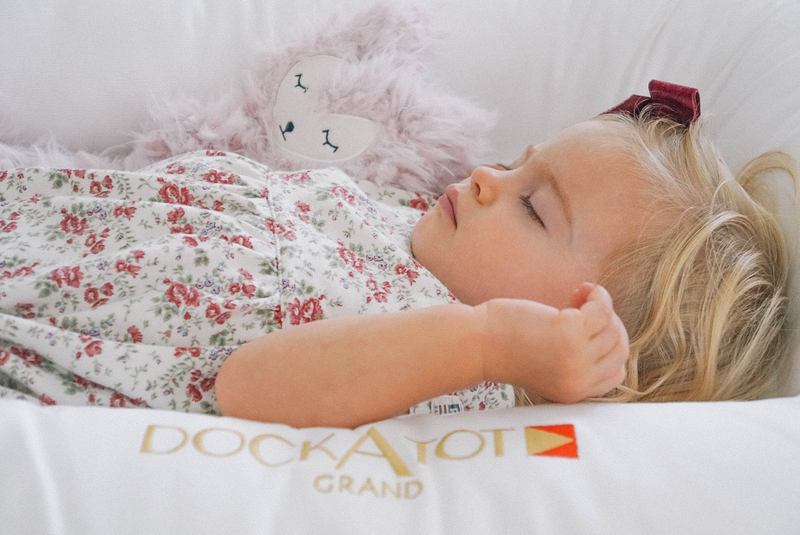 It’s a breathable, 100% cotton lounger and co-sleeper beautifully designed in Sweden and is basically just a safe little nest for Vivi to lounge, nap and cosleep with us in. Needless to say, we’ve brought it on every vacation of ours! As I (clearly!) loved Deluxe size so much it was a given we were going to size up to the Grand for a smooth transition to her toddler bed. Needless to say it worked like a charm and she is now sleeping full nights in it by herself in her big girl room! 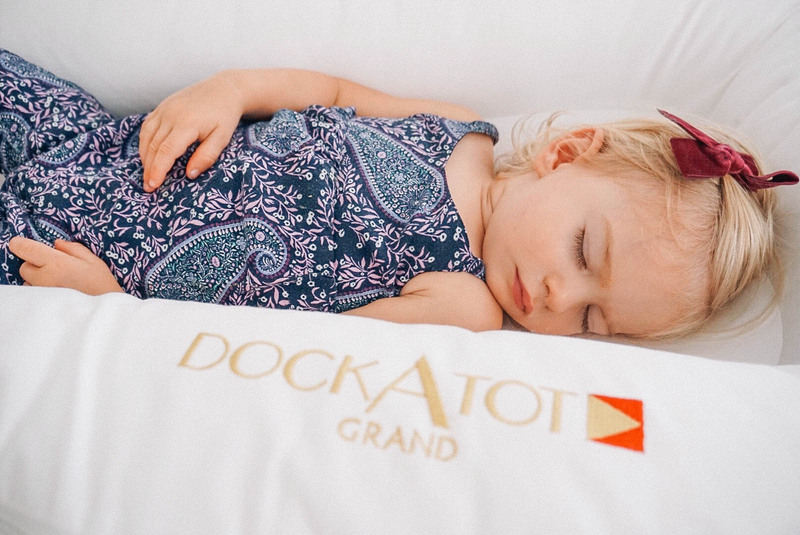 If you’re a new mommy or mommy-to-be get the Dockatot and thank me later – you won’t regret extra sleep! Check them out on their website, here.